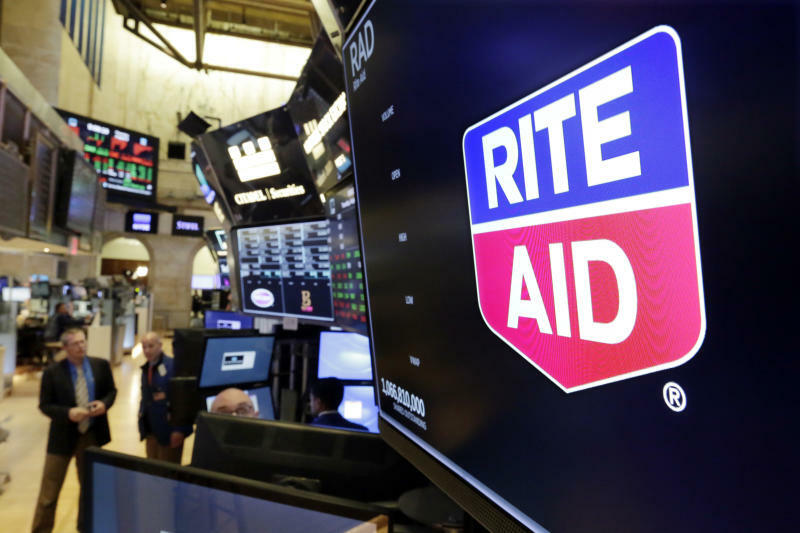 Rite Aid shareholders have backed a plan to lift the struggling drugstore chain's stock price and keep it from being kicked off the New York Stock Exchange. Stock owners approved on Thursday a reverse split of the company's stock that aims to reduce the number of shares traded and boost the price of those that remain. Rite Aid's board now has to decide the ratio of the split, which could involve consolidating 10, 15 or 20 shares into one. Rite Aid Corp. said earlier this year it would try the reverse split after the Big Board warned that its shares could be removed if their closing price doesn't consistently hit at least a dollar. Rite Aid shares have largely slid since early 2017 and fell below a dollar in December. The stock slipped another penny to about 68 cents per share in Thursday afternoon trading, as broader indexes rose. The company runs 2,525 locations, mostly on the East and West coasts. It also operates a pharmacy benefit management business that runs prescription drug coverage for employers, insurers and other customers. Retail analysts have questioned the drugstore chain's long-term prospects, especially when competing nationally against much bigger rivals like CVS Health Corp. and Walgreens Boots Alliance Inc., as well as other retailers like WalMart that dispense prescriptions. Camp Hill, Pennsylvania-based Rite Aid reported a $4.5 million fiscal third-quarter loss in December and then announced job cuts and a huge management shake-up earlier this month. The company said it would replace most of its senior leaders and undergo a restructuring that would trim about 400 full-time jobs but save $55 million in costs annually. Long-time CEO John Standley plans to leave once his successor is appointed. The drugstore chain also said corporate Chief Operating Officer Kermit Crawford would leave the company and be replaced by Bryan Everett, who has served as chief operating officer of the company's stores. Chief Financial Officer Darren Karst would be replaced by Chief Accounting Officer Matt Schroeder. Those changes were effective immediately. Last September, the company also shook up its board by nominating three new independent directors and stripping Standley of his chairman title. That came after an attempted buyout of Rite Aid by the grocer Albertsons fell apart. A previous acquisition attempt by one of the nation's largest drugstore chains, Walgreens Boots Alliance Inc., also never materialized although Walgreens eventually agreed to buy nearly 2,000 stores from Rite Aid.